The UKsound 176 JFET based compressor gives all the features and sound you expect from a FET compressor, plus a few extras. The 176 JFET based compressor gives all the features and sound you expect from a FET compressor, plus a few extras. The 176 input and output gain and the time-honored compression ratio options of 4:1, 8:1, 12:1, and 20:1. Attack and release controls allow users to tailor the compressor’s action to best suit a given source. The FET compressor kicks in to manage peaks, adding control and thickness to the signal. Drums, bass, vocals, and synths are among the many sound sources that will truly benefit from the 176. 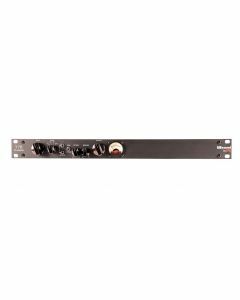 The 176 is has an all-discrete and Class A signal path with transformer balanced input and output.